The monthly publication was launched with the aim of establishing closer mutual trust and offering information to people who were forced to leave their homes in search of protection and security, it was said at the launch. Most of the newspapers' authors are asylum-seekers. The Jesuit Refugee Service (JRS) on Thursday launched the first newspaper dedicated to asylum-seekers and refugees in Croatia. The launch was held at the receptioTvrtko Barun, head of the JRS in Croatia, said that the launch of the publication was motivated by a wish to ensure for asylum-seekers and persons who had been given international protection in Croatia a platform to express their views and share their refugee and integration experience. 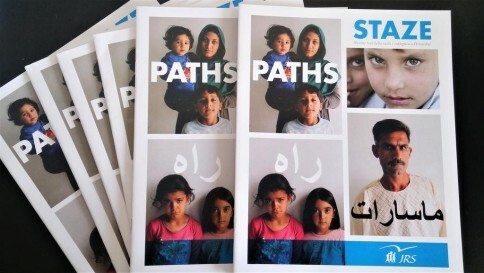 He said that the newspaper, called "Staze" (Paths), would be a monthly published in Arabic, Persian, English and Croatian. Also speaking at the presentation were refugees and asylum-seekers.